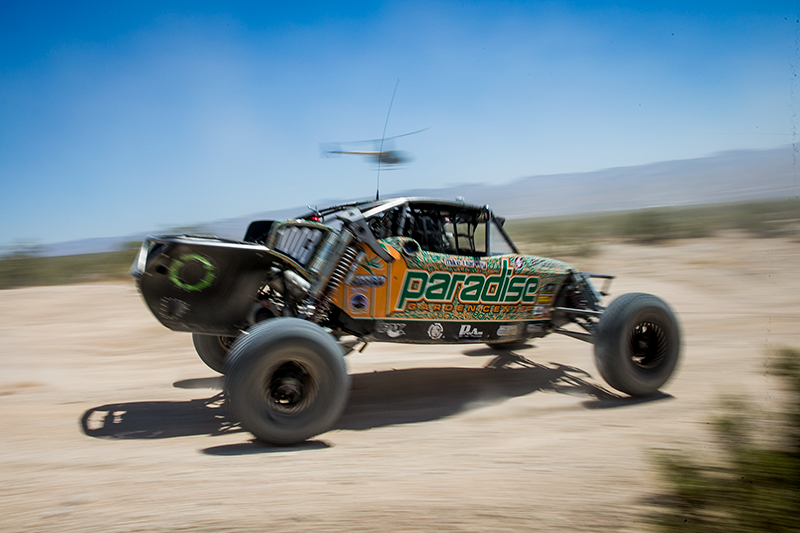 Alumi Craft racer Christian Fessler climbed all the way to 3rd place on the podium after mounting a serious charge on Saturday. “We were 4th on time after Saturday,” says Fessler, “We started back in 12th, so we passed a lot of cars. Our Alumi Craft was absolutely perfect again. We had the car set up low and left the spare tire in the pits. If you get a flat tire here, you just lost. I did decide to run a navigator in the right seat. 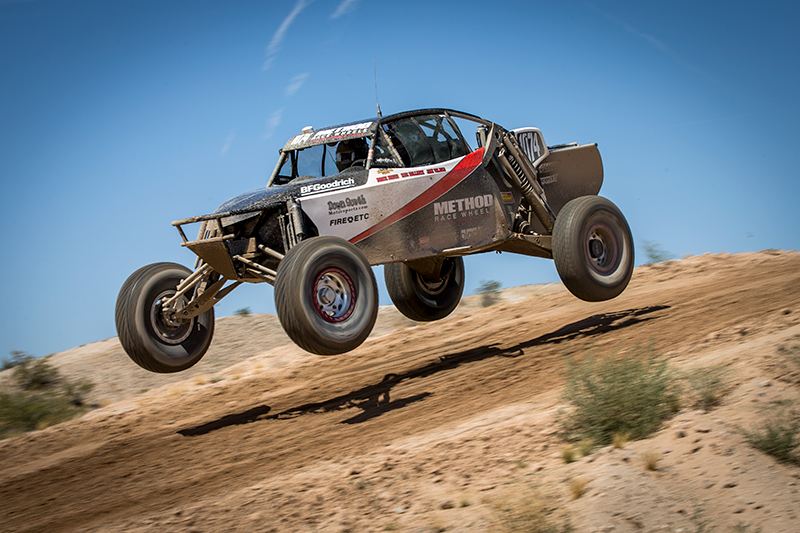 The course was fast and the wind was enough so that dust was not an issue.” Fessler climbed another spot to 3rd place overall on Sunday with 2nd in his sights, but 4 laps go by really fast. 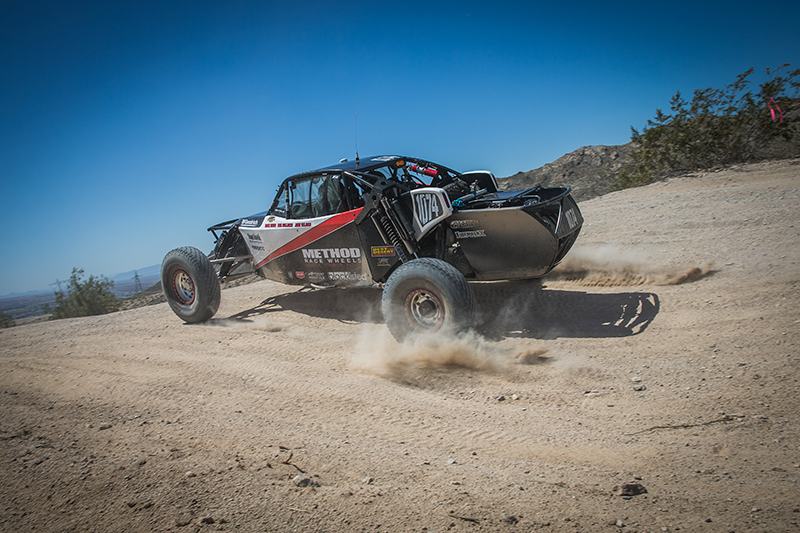 Alumi Craft race cars are designed to excel in all conditions. Highly refined in the fiercest competitive environments, they possess the strength to withstand sustained punishment without unnecessary weight that diminishes quickness and top speed. Alumi Craft owners prove the superior performance provided by their meticulously crafted cars every time out. 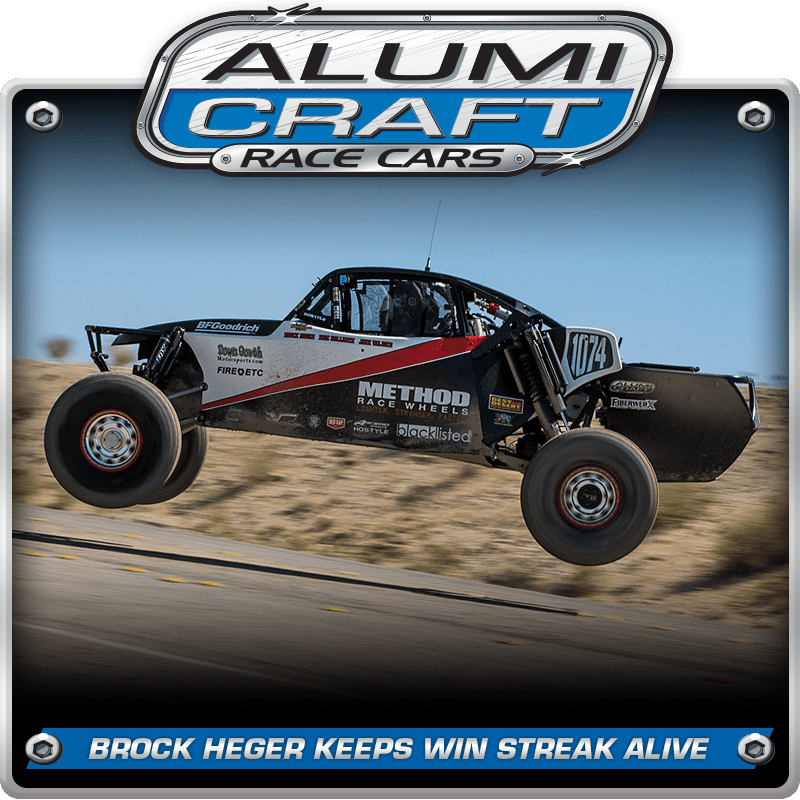 If you are competing in the desert, prerunning, or racing wheel to wheel on the track, Alumi Craft is committed to providing you with a competitive, safe and reliable vehicle that exceeds your expectations. They offer many types of cars for competition or pleasure and a long list of services and support. If you demand the best, give Alumi Craft a call at 619-596-9841.